Exporting is both challenging and rewarding. Export procedures are simple and the export documentation required has been lessened. Working in close association with international airlines like Air France, Alitalia, KLM, Lufthansa, Kuwait Airways, Swiss Air, Air India etc and freight carriers like DHL, TNT, Fedex, , UPS, etc. 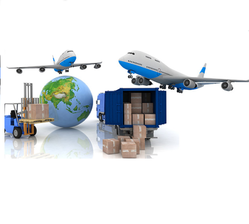 We are offering Air Exports Services from Delhi to Europe, Delhi to South Africa, Delhi to USA and so on. - Daily direct flights worldwide for high priority air. 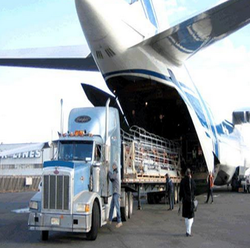 - Full and split charters for project and heavy-lift cargo. Ganpati Forwarding Agency Pvt. Ltd.
- Preparation of Export documents i.e. Invoice, Packing List, B/L/AWB according to L/C or Export Order. - Completing all formalities at Customs like unloading of Cargo, Examination, Stuffing & Tracking of your Shipment. - Arranging services for palliation, fumigation, SGS, Photo Sanitary & Insurance.